There is a lot of imagination. Because you can learn how you have to be brave , when you handling the worldly situation alone. I was touched whid the story of this book. its about a hedgehog who went on an adventure for his first time and was worried that he wouldn't like it,but he came to find out that it was fun. My sister really likes this book and i like reading it to her. 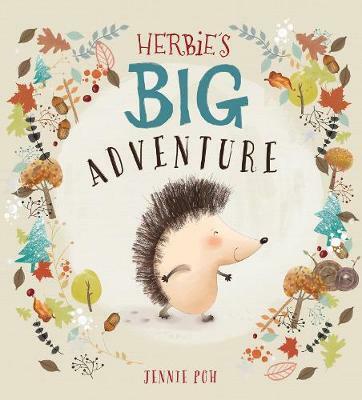 I liked this book because it showed how brave Herbie was, he went on his first trip foraging without his mom. I think that this book was too young for a six year old to read so gave it two stars. Because Herbie went on a really fun trip. Herbie is so cute and so is the snow bear that cuddle him. We loved this book about being brave. I liked this book because it was a good story about a hedgehog who went on an adventure and saw a snow bear he went to sleep with it. It had a happy ending, had brilliant pictures. I think it is great for young children but there are long words that they won't understand so that is why I put four stars.